Hey eveyone! ever wanted to create your own lucky blocks but dont have a lot knowledge of how minecraft commands work? 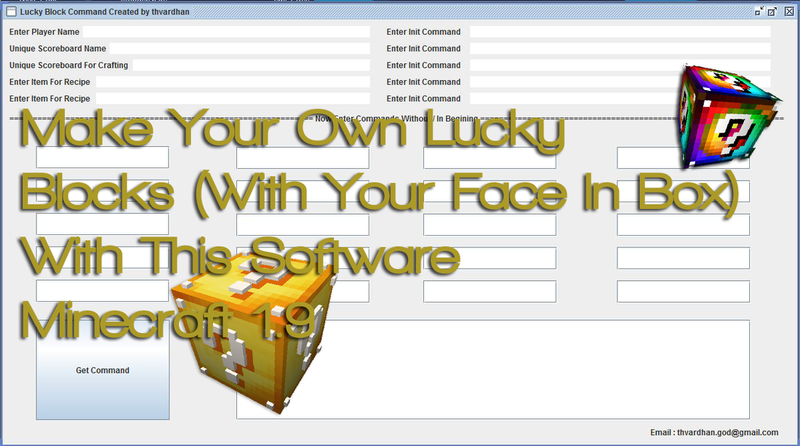 well, Now with this tool you can create your own lucky block with only a bit of basic knowledge of minecraft commands. Ok So Let Me Explain How This Works. Unique Scoreboard Name - Here enter any unique scoreboard that will be used for randomizing drops.